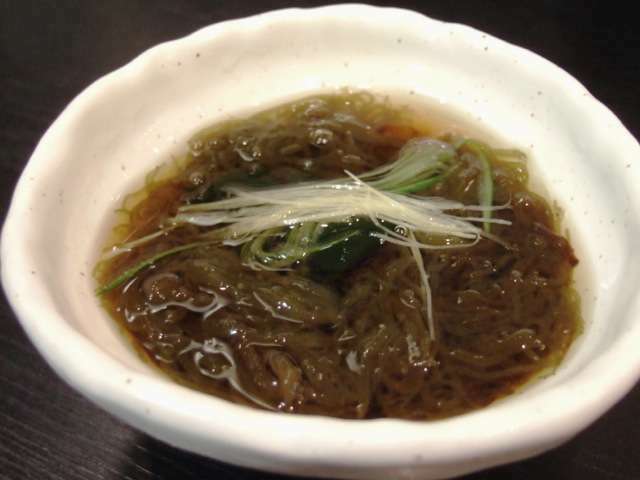 Mozuku is a unique Okinawan seaweed. Scientifically known as Cladosiphon okamuranus, this alga is popular in Japanese cuisine, and it has been farmed for more than 35 years. The cultivation of this seaweed is a key element in the economy of Okinawa: in 2006, the Japanese Cabinet Office estimated a 20,000 ton production, with an economic value of billions of Yen. 99% of this seaweed is produced in Okinawa, almost entirely farmed by humans. 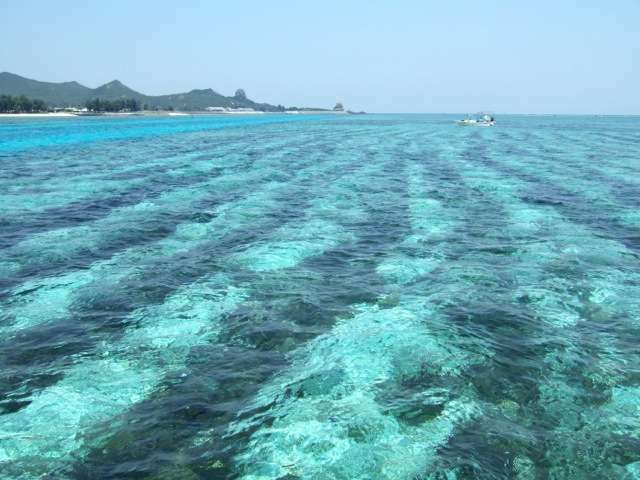 When in 2015 the production dropped for causes related with the higher temperature of the ocean, political institutions and research centres started to coordinate in order to develop a strategy to preserve this Okinawan treasure. Koki Nishitsuji, Asuka Arimoto, Noriyuki Satoh and Eiichi Shoguchi, from the Marine Genomics Unit of the Okinawa Institute of Science and Technology Graduate University (OIST), led the decoding of the DNA of a specific strain of Okinawa mozuku - the S-strain. Their project was a collaboration between several institutions: the Okinawa Prefectural Fisheries Research and Extension Center, Meiji University, the University of the Ryukyus, the OIST DNA Sequencing Section, and the OIST Marine Genomics Unit. Their results are published in DNA Research. The scientists carried out the examination of the mozuku's genetic code comparing their results with related published studies. This approach grounded the findings of the study in the wider landscape of the genetic studies of seaweeds, assuring the relevance and precision of the results. Knowing its DNA - that is made by 13,640 genes - the researchers have now the possibility of developing a comprehensive and well-informed approach to the protection, growth and scientific understanding of mozuku. "Our study provides a platform for future studies of Okinawa mozuku," Shoguchi said. "It represents the first step in understanding the organism in itself." The first way in which the genetic information of the seaweed can be used is to develop a variety of mozuku that can thrive in hotter waters. "After obtaining this first genome, it will be easier to compare the different strains," Nishitsuji explained. "It will be then possible to develop a more resistant variety of mozuku." Such a variety of alga could restore the production levels, thus effectively helping the fishermen in their struggle against the present drop in seaweed production. Mozuku has important health properties, because it is a natural source of fucoidan. High levels of this unusual molecule are found in mozuku, and it has unique tumour-suppressant and anti-coagulant properties. Ensuring consistent production levels of mozuku would allow widespread consumption of this healthy seaweed, which is already present in food supplements and has shown anti-cancer characteristics during laboratory tests. The data found in this study will be an important step in the interpretation of the evolution of brown algae. Mozuku is one of the members of this family of seaweeds, which play a key role in the ecology of the ocean. "Brown algae are also called 'seaweed bed' or 'underwater forest', and several marine organisms use these algae as a nesting place," Nishitsuji said. "Having full access to the Okinawa mozuku's DNA will help in clarifying the evolutional strategy of the brown algae and its relationship with the surrounding environment." Finally, mozuku has a unique texture and flavour, which is sought after by culinary enthusiasts. The secret of this specific taste is inside the mozuku's DNA, and it could be now possible to understand which part of the genetic code is responsible for it. Decoding the genome of Okinawa mozuku is an important step for the future of this seaweed. Now that this first step has been achieved, the path for a comprehensive and clear understanding of the biology of this alga is open.